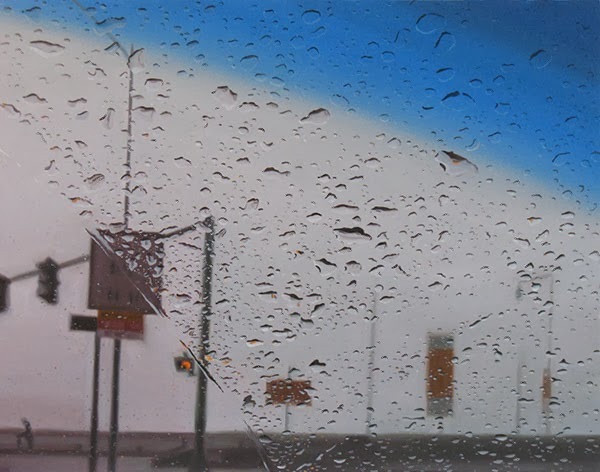 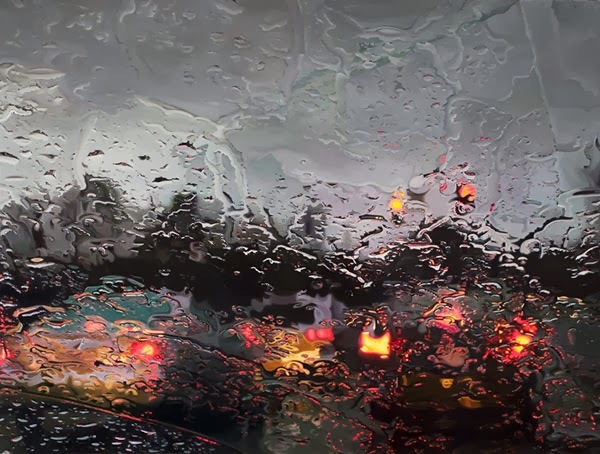 Paintings of rain-soaked street scenes from behind the windshield of a car. 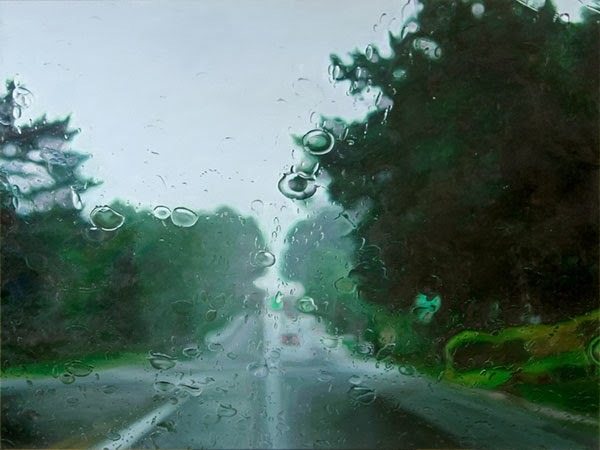 These paintings reflect my interest in the way that the road delineates and controls how we experience landscape. 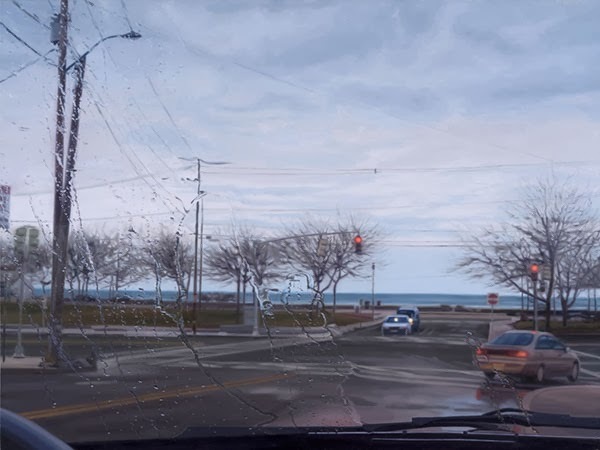 From the roadway perspective, we not only travel from one place to another, we see landscape in a varied and complex manner. 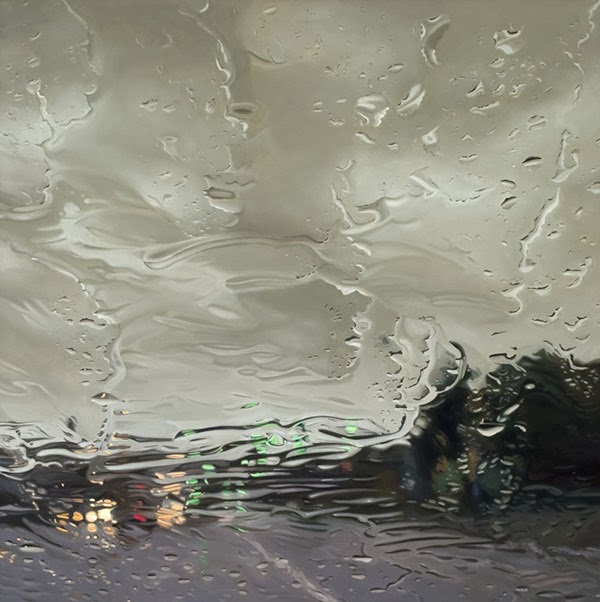 I use water on the windshield to create a shifting lens for the way we see the environment: it both highlights and obscures our viewing. 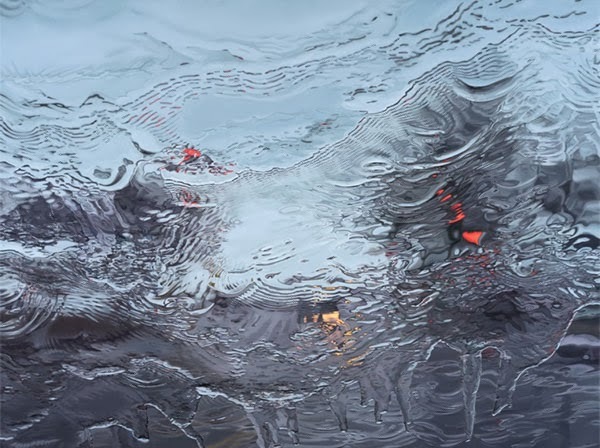 Perspectives slip and compress, while shapes and colors merge into one another. 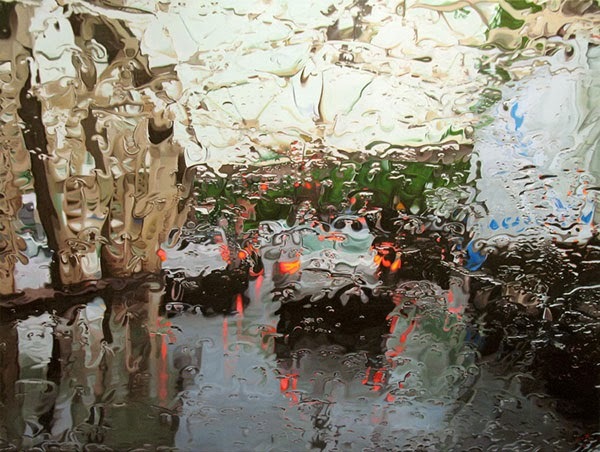 I also work with relationships between surface and depth, between flatness and illusion. 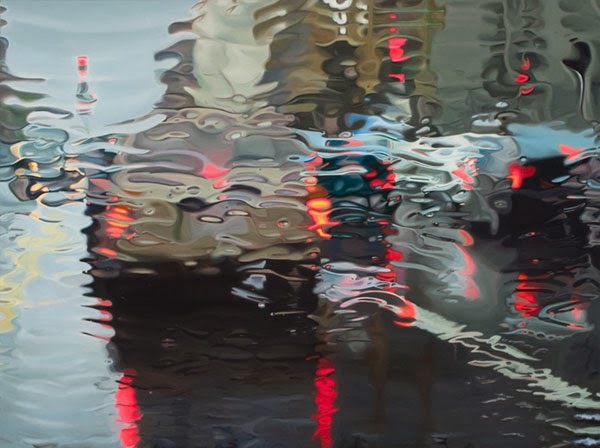 These images are born out of real experience and have a close relationship with the medium of painting: its fluidity, transparency, and capacity for layering, mixing, and blending.